Wherever you are, and whatever your passion, with a Melbourne Scholarship you can turn ambition into achievement. 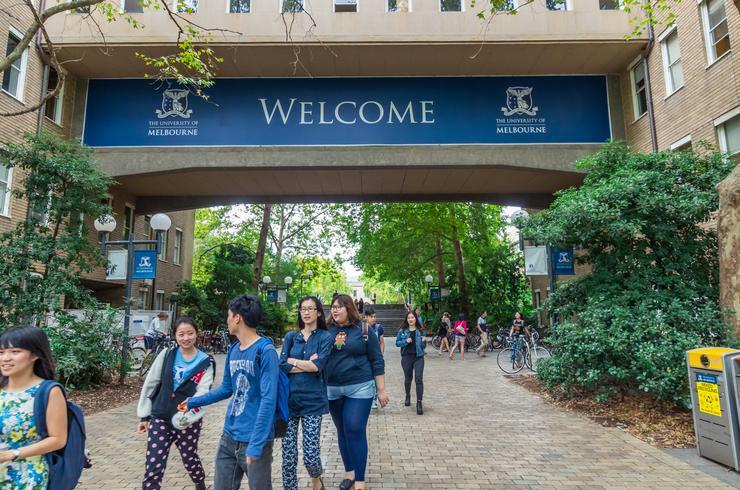 The University of Melbourne is inviting applications for the International Graduate merit awards. The awards are an opportunity for all International students who apply to a coursework program within the Faculty of Business & Economics, to receive a 25% -50% fee waivers for the duration of the course. Great opportunity for international students. As a sandstone university, Melbourne is comprising 11 separate academic units and is associated with numerous institutes and research centers. Established in 1853, the university is a second oldest research university has 11 academic units, some of which incorporate a graduate school. Why at the University of Melbourne? Students will gain various job opportunities and learn about all subjects before choosing a particular subject in their field of interest. Eligibility Criteria: To be eligible, you need to: be an international student and must be applying to a coursework program within the Faculty of Business and Economic. How to Apply: Before applying for this award, applicants should take admission in the undergraduate course within the Faculty of Business and Economics at the university. After admission then they need to take registration for this program through Register Now. The applicants who meet all eligibility criteria will be automatically considered for this award. There is no separate application form required for the program. Supporting Documents: Applicants must need to submit required documents a CV and professional reference letters. Admission Requirements: For admission in undergraduate coursework, candidates must have a 300 credit points and AQF level is 7. Language Requirement: When you apply for an undergraduate degree, you will need to meet the University’s English language requirements. If you want to know detailed information go through given link language requirements.